Although huge swathes of Britain were once forested, much of this was cleared in mediaeval times and before for use as fuel and construction materials (for buildings and ships). So by the time the steam railway came along, there wasn’t much left and there was no requirement for railway haulage out of the forests. 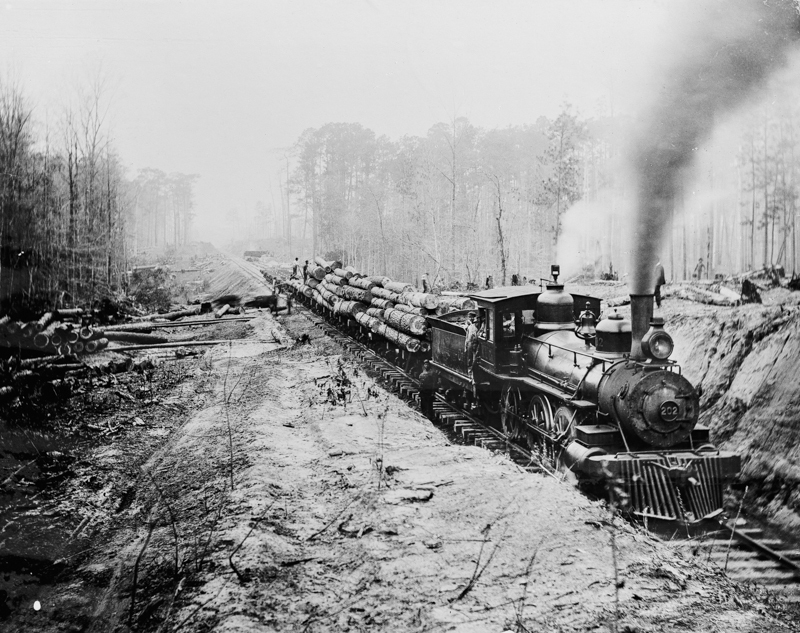 However, given the enormous size of America, and the development of the country happening at the same time as the development of the railway, it was inevitable that railways would be used for applications such as hauling heavy lumber. As forested areas tended to be hilly, specialised geared locomotives such as the Shay type were developed, however conventional 4-6-0 types were also used for flatter areas. Additionally, there were a number of railway companies that were dedicated to hauling lumber, either to railheads or to mills. A good introduction to the subject can be found here http://www.american-rails.com/logging-railroads.html, and Wikipedia has some good links http://en.m.wikipedia.org/wiki/Forest_railway. Some interesting videos on YouTube as well, this is a good place to start http://youtu.be/_haZIk4GXzI. Previous Post #396 – Shadows of the North at Helmshore extended for another week!